Back to school is lurking around the corner so here is a giveaway to ease the pain. I am certainly excited and saddened that school is about to start. Thanks to all my followers you guys mean the world! Please read the rules below and enter! 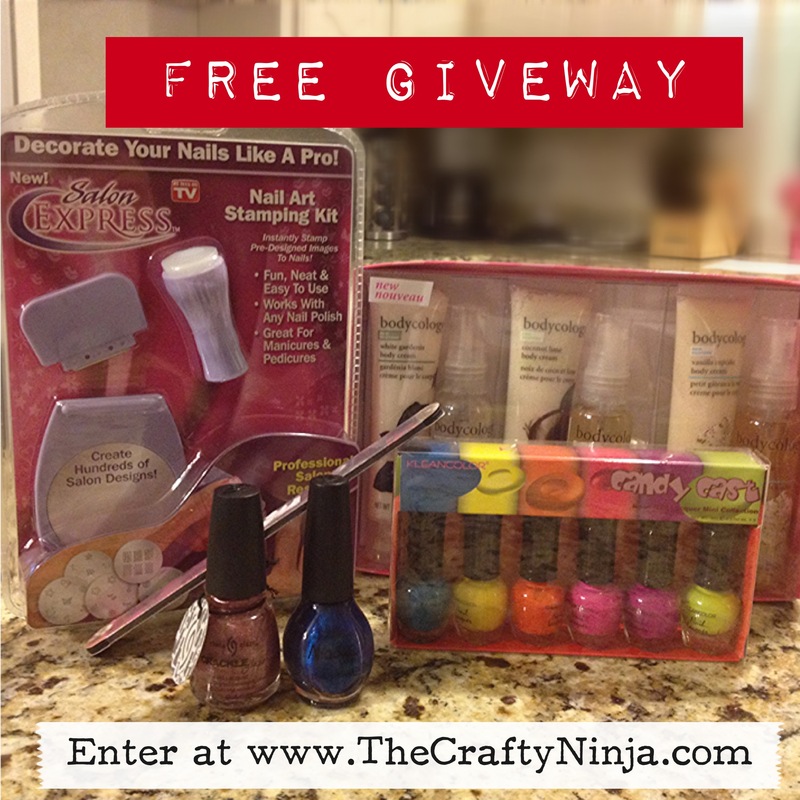 One winner will win: Salon Express Nail Stamping Kit, Bodycology Cream/Spray, Kleancolor Mini Neon Polishes, Nail File, China Glaze Crackle Haute Metal, and OPI Nicole It’s Up to You. To enter just click below, even if you are a currently follower, I have given several options to earn more points to enhance your chance to win. Everything is free and you must be the age of 18+ to enter. One mandatory rule is that you must like my Facebook Page, it only seems fair. Thanks again and good luck! The winner is picked through the computerized raffle. Once the winner is chosen I will send an email to let the winner know and also get the winners address to mail the prizes. Thanks for stopping by! 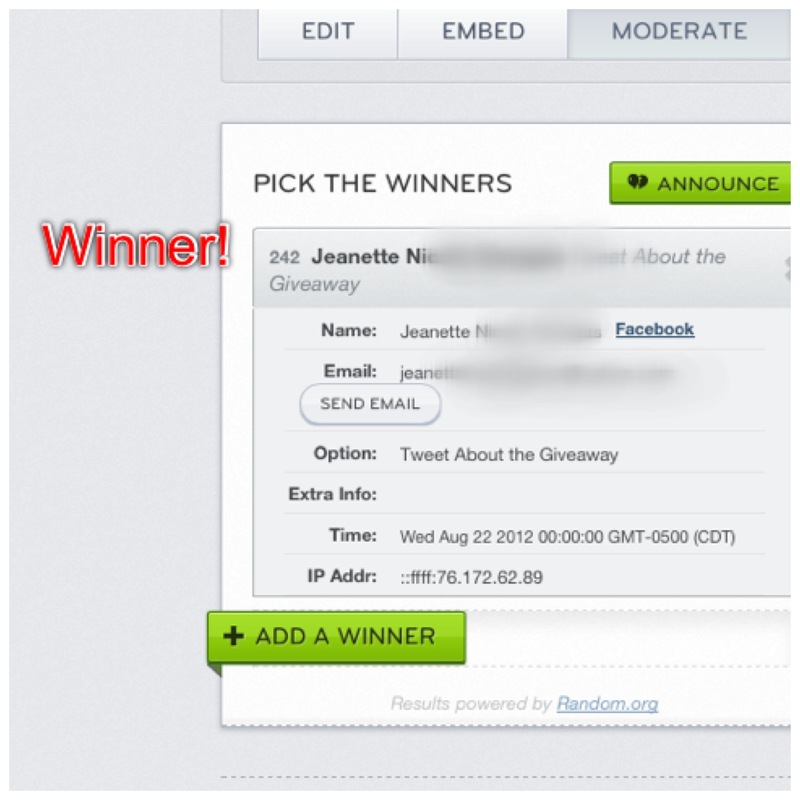 And the winner is… Jeanette N. V.
PLEASE PICK ME IT WOULD MEAN ALOT! I love doing my nails but nailpolish is like $8 a bottle! PLEASE PLEASE PLEASE!!! What an awesome selection of prizes! Thanks for holding such a cool giveaway. What a great giveaway! Lovee it ! Thanks for being so awesome! I would LOVE to win this giveaway. More polish equals more designs I can create! Thank you for your awesome giveaway! Your blog is great!